GEICO Doesn't Offer Home Owners Insurance Directly! You know that buying homeowners insurance is important and if you are in the process of buying a home, you know it's required. Now that you have decided to look for homeowners insurance, I understand why a GEICO home insurance review would be one of the first reviews on your mind. 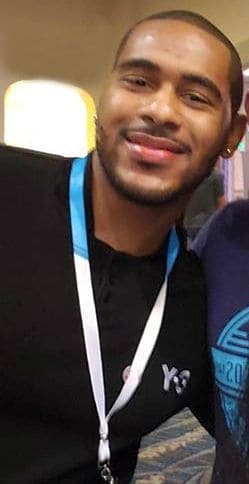 As I stated above, GEICO doesn't actually underwrite or manage any of their policies and they take the roll of an agent when it comes to home insurance. Today I am going to discuss how GEICO homeowners insurance actually works, a company that I think is a much better alternative and how to get home insurance quotes. 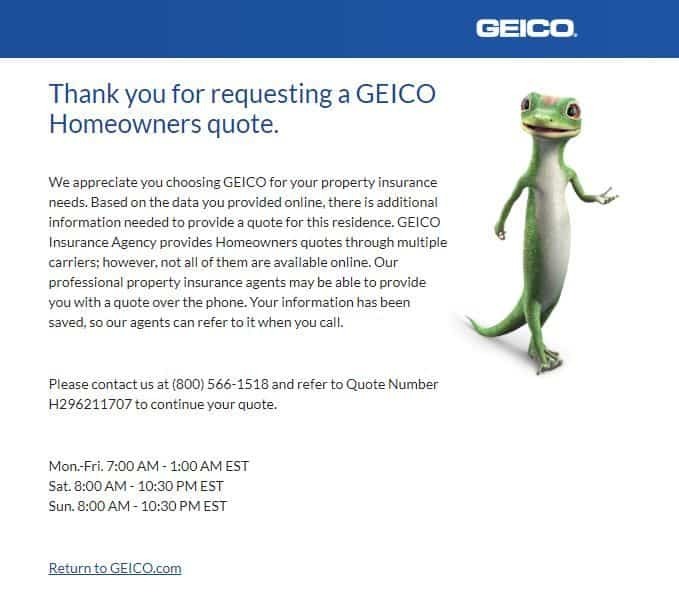 As you see in the below image, GEICO functions more like an agent or broker when it comes to homeowners insurance policies. This means that they will not be the actual company that your home insurance policy will be with. So, if you were excited about purchasing through GEICO because of their ratings, financial strength and overall reputation, then you are probably upset. But, the truth is, I have saved you from a time consuming quote process that GEICO has, and guess what, after completing that process they don't actually give you quotes. So, on top of Not getting insurance with them, you also won't be getting an immediate quote and should be preparing to get emailed or having actually call them just to get a quote. Other GEICO reviews rate GEICO against other companies, but remember, GEICO doesn't underwrite their own homeowners coverage so they mainly rely on their name recognition to sell homeowners insurance through affiliate partners. They also say they will make setting up and servicing a homeowners policy easy. They can't offer you much in the way of discounts since they don't actually underwrite the policies. The majority of their savings will probably come from they auto insurance portion of the coverage if you already have it with them. But, in all honesty, the savings you will get when you go directly with a homeowners insurance company will be much better. If I am being honest, I was very disappointed that GEICO didn't give me a quote after taking me through almost 30 questions. They also asked for my birthday, email address, current home address and everything about my new home, but still no quote. Well don't worry, I have a company that I have found to be a much better alternative by the name of Hippo Insurance. 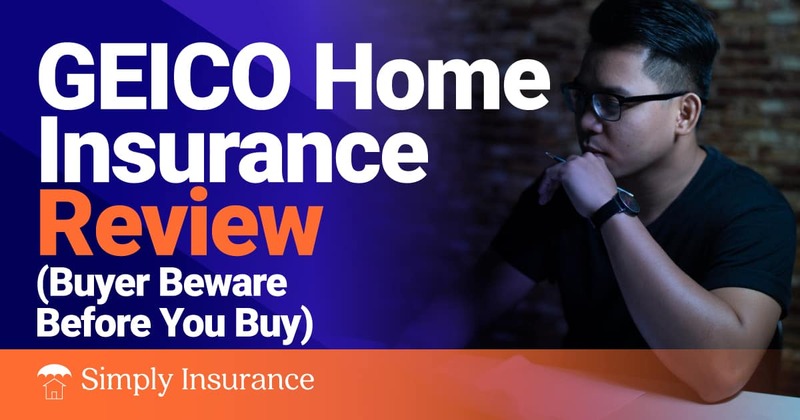 You can check out a complete review for Hippo here, and below we give a quick synopsis of the company and its home insurance coverage. In 2015, our founders discovered something startling: 60% of U.S. homes are under-insured. They dove deeper and found that home insurance is sorely outdated, from the cumbersome way it's bought and sold, to the antiquated coverage it contains, to its needlessly high prices. We launched Hippo with the deep belief that homeowners deserve better, cheaper, modern home insurance. Hippo polices are underwritten by insurance giants with nearly $200 billion in assets. This means your policy is secure no matter what happens. Hippo works exclusively with top-rated partners which have an A- "Excellent" rating or better, according to A.M. Best, the gold standard of our industry. Over the past century, A.M. Best has graded the financial integrity of over 16,000 insurance companies. Hippo is the one of the most affordable homeowners insurance policies with rates coming in around 25% more affordable on a national level. We are seeing clients go from application to approval within 20 minutes. Hippo is the best homeowners insurance product by far. If you want very comprehensive coverage, want to deal with a company that has a strong backing, and that you can call directly for assistance with coverage then Hippo is a no-brainer. Ordinance Coverage - This will cover you if an ordinance change in your area increases the cost of ​construction when you need to rebuild part of your home. Water Backup - ​Covers any damages caused by the backup and overflow of water from drains or sewers. Jewelry & Watches - Covers for loss by theft of Jewelry, Watches, Furs, Precious and Semi-Precious Stones, coverage amount depends on the type of policy you purchase. Domestic Workers - This coverage protects you if a residence employee (​like a nanny, gardener or babysitter) is injured on your property. Home Office - Covers home office equipment such as computers and printers for up to $10,000. If you work from home, this is an awesome benefit. Computers - Laptop & desktop computers and related storage devices covered up to $10,000. Mortgage Payment Protection - In the event that your home becomes uninhabitable, this coverage provides up to $1,500 a month, for up to 12 months, toward your mortgage payments. Extra Jewelry & Watches - Increases coverage up from $2,000 to $5,000 for loss by theft of Jewelry, Watches, Furs, Precious and Semi-Precious Stones. GET YOUR FREE HOME INSURANCE QUOTE TODAY! We also wanted to show you a quick video about how fast the process is to actually get a quote and enroll. This might not be the GEICO home insurance review that you were expecting, but I hope it opened your eyes up to finding the best home insurance available. If you have been holding off on buying homeowners insurance for any reason, I say give Hippo a shot, we even created a list showing all things homeowners insurance covers. You have nothing to lose, if you decide to cancel the policy before the year is up, your remaining days of coverage will be pro-rated and you will receive a refund based on days remaining. With their ability to cover new technology and focus on covering more modern lifestyles. GET YOUR QUOTE & GET STARTED TODAY! Get A Homeowners Quote Now!